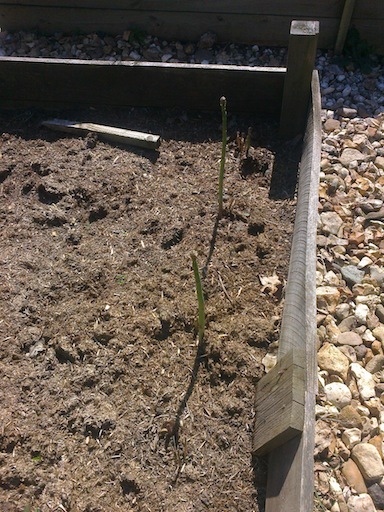 Goodness me but the asparagus has grown like a gazelle on speed this week. 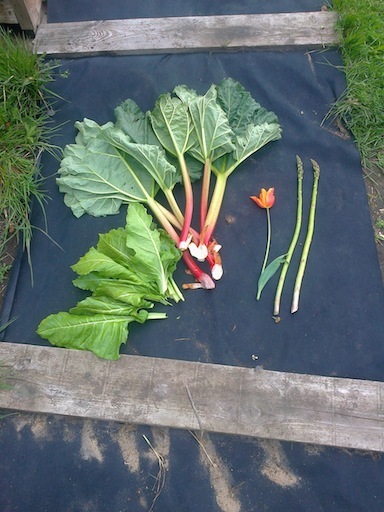 We’ve harvested a couple of the larger stalks and eaten them for starters tonight. One of them was utterly perfect, but the other was rather woody – so it looks as if we’ll have to harvest them more often to gain the benefit. We’ll have to stop harvesting by the end of May/beginning of June to allow them to set seed for next year though. 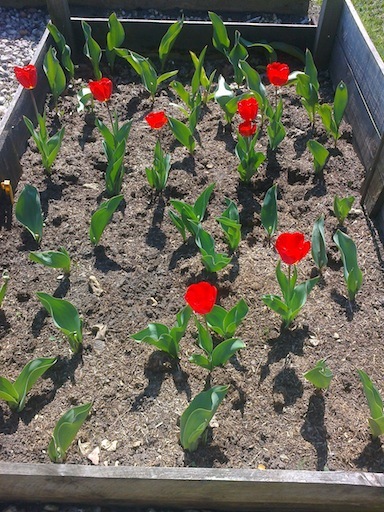 Speaking of tulips, they’ve been pretty good so I’ve picked more for the house. They last about a week, which is fine really. And the freesias are beginning to come up next to the lilies, which is very exciting. 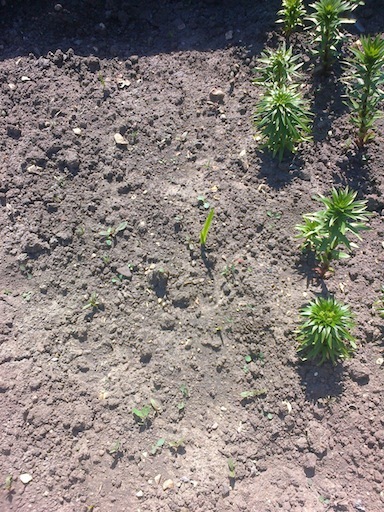 I’ve sprayed the lilies to avoid the dreaded lily beetle – arrgghh!! – a subject I’m used to as we have loads of lilies at home. K also did a hoe round and we trimmed the paths around the plot, so it looks a lot neater. We’re preparing ourselves for the Allotment Inspection on 7 May as we certainly don’t want to let the side down on Election Day! 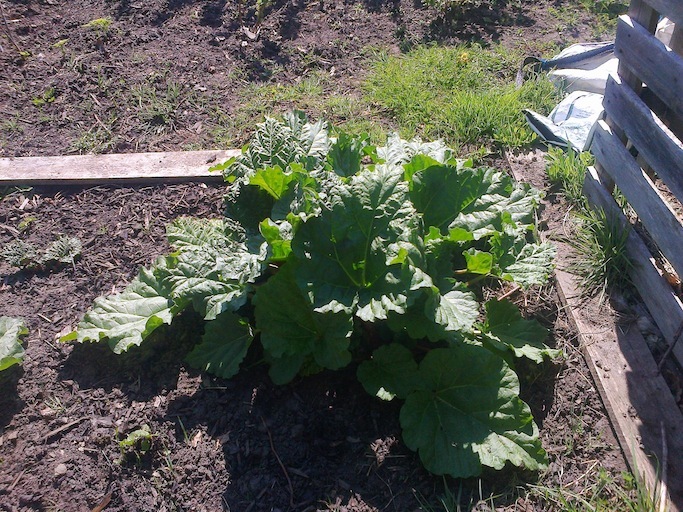 Ooh, and I’ve also planted some sunflower seeds – Russian Giants – in the runner bean bed and in one of the other spare beds, so I hope they come up. 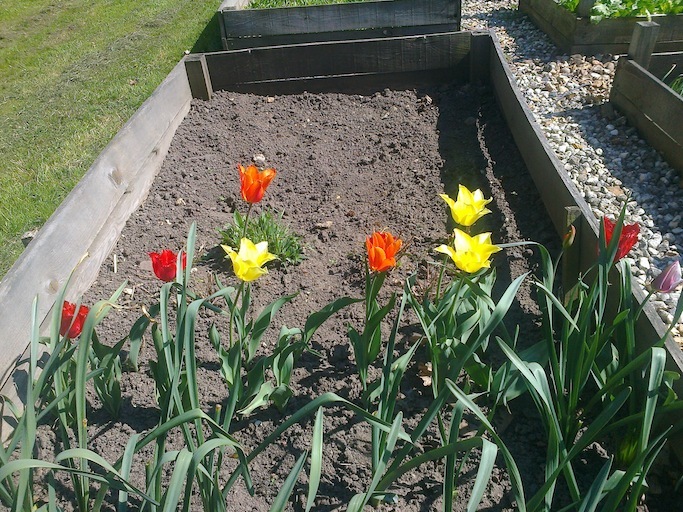 Categories: Allotments, Gardening | Tags: allotment inspection, asiatic lilies, asparagus, freesias, rhubarb, spinach, sunflowers, tulips | Permalink.